Herend Candlesticks - A complete list. for sale affordable pricing ! Herend - Candlesticks a complete list. 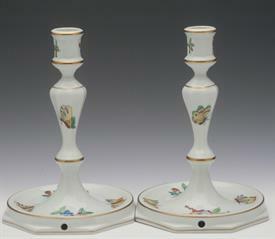 ,Pair Of 7" Candlestick Pair #7917/Vr. Factory Drilled With Wire Hole.